In the past, great roofing meant that you had to compromise something just to tick off a few check boxes. Nowadays, however, you won’t lack for options that can bring a host of great benefits together in one package. Rogers Roofing offers a few such options to help you transform your roofing into something truly eco-friendly. When talking about green or eco-friendly roofing in Tinley Park, IL, the discussion often gravitates towards heat and heat regulation. After all, it’s usually the heat or lack of it that drives our dependence on artificial means of interior climate control. 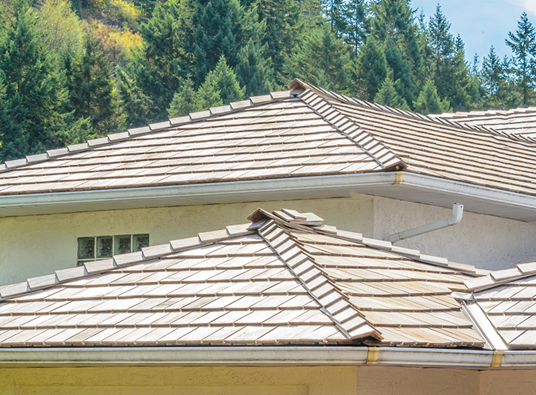 Cool roofs are called such because their lighter color reflects heat away. The coolest roof you can get? Light colors on metal. Asphalt shingles from CertainTeed are made from recycled materials. That means nothing is wasted in their crafting and creation. At the end of their service life, asphalt Dyer roofing can be recycled once again into a new roof. Among all the materials on offer, these are the most affordable. It’s best not to leave them as a standalone investment, however. We suggest crafting a green roof around them and adding plants up top. Concrete tiles aren’t always seen as the most eco-friendly materials around, but hear us out. What contributes to the green nature of tiles is that they usually endure for a very long time. This means less in the way of replacements down the years and lessening the generation of waste byproducts along the way. We source our tiles from Vande Hey Raleigh. The company handcrafts much of its product line—lowering their impact in terms of industrial output. When the materials are already geared towards eco-friendliness, it becomes easier to mix and match projects that overall give your home a green vibe. Call Rogers Roofing today and we’ll be more than happy to help you pick out that perfect combination that leaves your home clean and green.